Here is a small random selection of Listings currently Offered by members. Click the Refresh button to see more. I buy and sell clothes/shoes on and often come across wonderful items at great prices. Let me know what you are looking for and sizes and I'll hunt for you. I will translate documents between English and Japanese. I am a native Japanese speaker and live in the US for 10 years, although I am not a professional translator. My English may be still immature, but I can translate into natural Japanese. 2 LDs/hour. Please email to me. XXXXXXXXXX. I will let your know how many hours I would need. Dahlia growing instructions and support! I will water your house plants and/or garden when you're away. 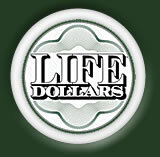 I charge 2 LifeDollars per hour. Usually watering can be done in half an hour, for 1 LifeDollar. Do you need a few hours use of one of these wonderful shop tools? Borrow mine. The chop saw is great - beautifully mitered corners are possible with this powerful saw, as well as clean, straight cuts. Lightweight tile saw works well for small jobs and I have all the accoutrements as well (blades, float, spacers, etc.) Collapsible lightweight sawhorse made of plastic are useful for cutting wood or creating a temporary work table. I will care for your pets and/or plants while you're away. Reliable care for cats, dogs, chickens, and goldfish. If you've got some other beloved critter, I'll give it a try. Two LDs per hour. I typically do two to four 30-minute visits per day, depending on your pets' needs. If you need something else, please ask. How's your bike doin'? In need of some tuning and mechanical work? I am a certified bicycle mechanic with 15 years of experience and a passion for bicycles. I have a full service shop in my garage and I'm happy to work on your bike for you for one life dollar per hour. I was the founder and lead mechanic for The ReCyclery for eight years, and hold the following credentials: +Barnett's Bicycle Institute, Colorado Springs, Colorado XXXX Certified Bicycle Technician 2.0 (graduate) +United Bicycle Institute, Ashland, OR. XXXXXXXXXX XXXX DT Swiss wheelbuilding certification seminar (graduate) +USA Cycling, Colorado Springs, Colorado XXXX Bill Woodul Race Mechanic Clinic (graduate) I also have extensive experience as a bike tourist and am happy discuss bike trips, gear, and packing with you. Thanks. Brownies, lemon sour cream poundcake, non-fat cheesecake -mmmm. I can bake almost anything. Great backyard barbecues, dinner parties, sweetheart, potlucks. . . heck, you can even pass it off as your own cooking! You pay cash for the ingredients, but LD for labor. Hello. Feel free to check out my website at chaunceylockear.com. I am devoted to helping people create more flow, alignment and success in their lives through a process known as life coaching. I have my CPCC credentials from the Coaches Training Institute and have a bachelor's degree with a concentration in somatic psychology from Western Washington University. I'd love to help you get clear on your values and goals while also finding your roots in the change you want to see in your life. I am studying to be a family and couples therapist at Antioch University starting this coming fall. Somatic psychology informs my work, but I do not offer treatment of any kind. I am happy to chat with you about what transformation you are experiencing currently or are looking to experience. I am not a guide but act more like a partner with you as you travel on your life path. Coaching can be incredibly fun and powerful. I look forward to connecting with you to see if we're a good fit. Offered for 2 life dollars per one hour session. Please contact me through my website. Thanks. One Life Dollar per Hour. I can translate from Spanish to English and English to Spanish. I have my Secondary Education teaching credential in Spanish, lived in xexico for two years, and minored in Spanish Language and Literature. I have experience translating legal, medical and general personal communications. Would you like a one-of-a-kind birth announcement/new address card/party invitation or the like? You can check out the many blocks/cards I have printed and if you like them, I can carve something just for you! Basic skills taught for Microsoft Word, Excel, and PowerPoint, as well as basic internet skills such as search engines, email, and facebook. Comparable programs possibly as well (ie: a program similar to Microsoft Word, etc.). I am based out of Port Townsend. Now offering your choice of bodywork, for Life Dollars or a combination USD/LD (negotiable)..I want my Service to be accessible to all! I am a Professional, Licenced Massage Therapist (WA lic # MAXXXXXXXX). I'm dedicated to helping people out of the pain cycle! I specialize in Myofascial Release, Deep Tissue, Trigger Point, Craniosacral Therapy, and Aromatouch Technique, for pain and inflammation reduction (have had particular success with whiplash and other neck injuries and shoulder pain/low back pain)...and I can also provide “Symphony of the Cells” Treatments, targeting a specific body system that needs the extra support. I would love to chat with you and see how I can help! I hope to hear from you, and work with you on your path towards more complete wellness! :) Be well, always and in all ways! Experience an intuitive sound healing session with singing bowls, tuning forks, crystals and essential oils. Relax, restore, re-connect, release what no longer serves your best and highest. Open the way for freedom and joy. I have worked on my own cars for 17 years. I can fix a lot, but certainly not all, vehicle problems. If you have a problem you need diagnosed or a part that needs to be replaced, I will consult with you, and let you know if it's something I can fix. You buy the parts, and I will do the work, or teach you to do it if you want to learn. LD cost depends on job. One Life Dollar per Hour spent, including travel time, plus national currency to reimburse for ingredients (but I can use my own bulk items like spices, vinaegers etc.that I already have ). I can cook/bake according to your dietary needs. xy kitchen is not absent these these items, but I make my food free of gluten, dairy, and nightshades and am experienced in avoiding 'contamination'. I've got a great gluten-free, yeast dough flat roll recipe I do every week instead of buying store bought bread.